My name is Iohan, I am 30 and was born and raised in Bulgaria. When I was 15 I moved to Ontario, Canada where I spent the next 10 years. On the 11th year I got a chance to see the Rocky Mountains and that's when everything changed. As of May 2018 I have cycled for 4 years from the Arctic Ocean in Canada to the Darien Gap in Panama. I paddled an inflatable boat to Colombia and aside from some detours I have been going south toward Argentina. I am always looking forward to meeting amazing new people, visiting wild and beautiful locations and finding new challenges. It's a big world and I want to see it. I am also trying to capture a part of the adventure via video series, available free online! Third day on my first trip I met a man that said: "Don't forget to enjoy the ride" It took a while to sink in but attitude matters. You can be cold, miserable and complaining or just have the time of your life in the worst of storms!!! None of what I've been through would have happened if I waited to get all the right gear, all the planning and of course - felt comfortable doing it. Just go and do the things you want to do because if you don't try how do you know you can't do them! If you have any questions, suggestions or comments, feel free to email me. on a side note - mostly through youtube followers (i think!? ), I am building a big following via Patreon. It is reliable and it allows me to continue riding, writing and making videos from any place in the world (as if 2019, chile/argentina). 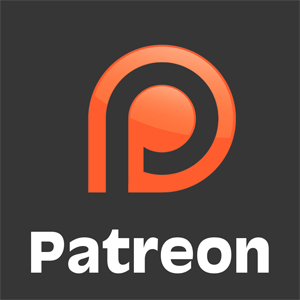 consider making even a small monthly contribution via patreon here.